Yesterday I had a CT scan. I’ve been bothered by a health problem and my doctor ordered a CT scan to help determine the next course of action. Fortunately I haven’t had a lot of experience with medical technology. 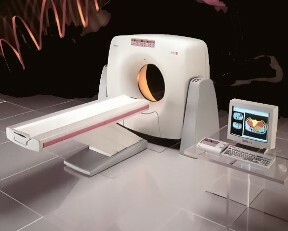 Since I at one time taught computer science I knew a little of the theory behind CT (Computed Tomography) or CAT (Computed Axial Tomography), but I had never seen a real CT scan device. I had heard horror stories from individuals who suffered claustrophobia in the “tunnel” when having a scan, but I didn’t pay that much attention. I’ll have to admit that the experience was interesting and not unpleasant. I didn’t have to wait too long in the waiting room to be called for my scan and the two technicians were friendly and efficient. The device itself looked like a donut with a bed attached, very similar to the picture above. The whole thing only took about five minutes. The device had several lights (I don’t know the purpose) and a computerized voice telling me when to hold by breath and when to breathe normally. It looked very scientific and modern. All in all I felt that I should have been on an episode of Star Trek! You may not think so, but the above picture is absolutely beautiful. Why? 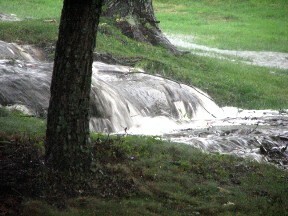 Because there is water coming down over the rocks on the side of the fairway behind our house. For as long as we’ve lived here there has always been water coming down that hill after a hard rain. A couple of years ago golf course workers cleared the underbrush from the rock face and cleaned up the area. It really looks quite nice. The only problem is that there hasn’t been much water going over the rock face since it was cleaned up. That’s because of the drought we’ve had here for the past two years. But we’ve had almost four inches of rain over the past two days. We’re still behind on rainfall for the year, but these four inches have sure been welcome. And what’s even better, we have a good chance of getting more rain over the next couple of days! Hopefully I’ll get more beautiful pictures! 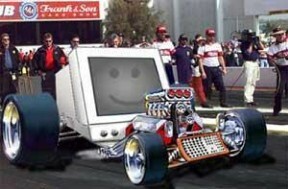 As many of you know, I’m a big fan of computers from Apple. I’ve owned Apple computers (first AppleII and then Macintosh) for more than 25 years. I’ve had to use Windows-based computers in my work, but my co-workers (and for a while even my own son) couldn’t understand my choice in personal computers. Betsy’s friend Betty Callis sent us the following e-mail which does a pretty good job of expressing my feelings toward those other computers. It was hot yesterday (Sunday) here on the Plateau, so I took advantage of that great excuse to stay indoors as much as possible. One of the things I did was work through some pictures we had taken earlier this year, but which I had not yet had a chance to organize into albums. One day in April Betsy and I drove to the Smokies to search for some small waterfalls that Betsy had found on the internet. One (Whiteoak Flats Branch Falls)we had seen from Little River Road, but Betsy found that there were a couple of small cascades above the base that could be seen from the road. 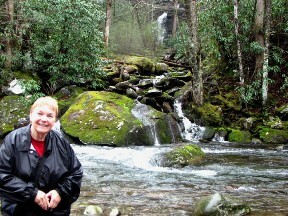 We found a couple of new small waterfalls, Rush Branch Falls, near the Townsend Entrance to Great Smoky Mountains National Park, and Cane Creek Twin Falls along Little River Road. We didn’t find Meigs Creek Cascade. We hiked the trail that leads to the cascade, but we didn’t go far enough to reach the cascades. That experience led us to invest in a hiking GPS unit. We’ll probably go back there some time in the future. 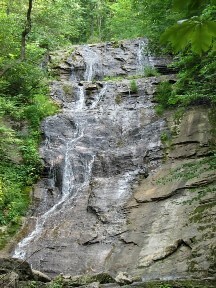 The nicest waterfall we found on this visit was Mannis Branch Falls. We must have gone right past it a dozen times — it’s just off Little River Road, but you need to take a short walk to the river to see the falls. 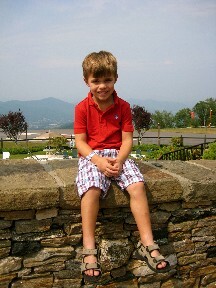 To see more of our visit to the Smokies click HERE. Who Put the Holes in the Rain Clouds? Does anyone know a rain dance? If so, I’d like to meet you. We’ve been in a drought here on the Plateau for the past two years. I’ll admit that last year was much worse than this year, but it’s still frustrating. Last weekend we had, according to the weather men on TV, a 100% chance of rain. It poured to the north, east and south of us. It rained to the west of us, but we (Crossville reporting station) got exactly nothing. This past Thursday afternoon weather radar showed Crossville directly between Knoxville and a storm in central Kentucky. The sky overhead here got dark and parts of Knoxville got so much rain that there was flooding in the streets. We got enough rain to make the driveway damp, but that was it. Betsy is quite an avid weather-watcher and has a big weather radar on her computer desktop. She always spots rain heading our way and tells me about it. But as more and more of those storms bypass us, poor Betsy gets more and more discouraged. I’m ready to try that rain dance. We definitely need the rain. I’m quickly finding that The Golden Years of Retirement are not at all the way I thought they would be during my working years. 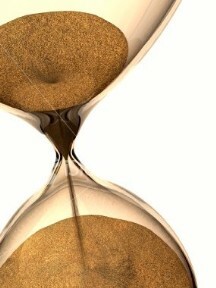 I used to visualize having lots of time in which I could do all the things I didn’t have time to do while I was working. To be perfectly honest, I was somewhat worried that I would be bored with not enough to do. What a laugh! Now all I want to do is find out why the days are so much shorter than they used to be. Yesterday started out as usual — Betsy and I had breakfast and then we did our morning devotions. I did some work out in the yard until noon, when we had our main meal of the day. After the meal I worked on some of the many pictures I still have to organize and put into albums. I then worked outside some more. After our evening meal I worked on some Christmas records that I’m converting to CDs. (I’ve been working on those conversions for about four years and I hope I can finish within a year.) Before I knew it, the weather was on TV and it was time to go to bed. So where has all the time gone? I know I’m not that much older and slower. Someone must have cut out several hours from the day! The two major destinations on our anniversary trip were Charleston and Savannah. We did visit some waterfalls in north Georgia on our way south, but we arrived in the Charleston area on June 21. Our first stop was Boone Hall Plantation in Mt. Pleasant, South Carolina. Boone Hall is one of America’s oldest working plantations. It was once known for cotton and pecans, but now produces peaches, strawberries, tomatoes and pumpkins, as well as other fruits and vegetables. Boone Hall Plantation (including the first floor of the main house) has been open to the public since 1956. 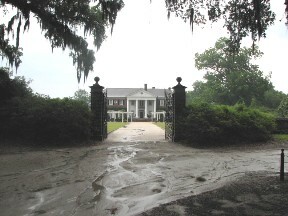 In the 1980s Boone Hall was featured in the mini-series North and South. Later it was used in the filming of Queen, the sequel to Alex Haley’s Roots. Boone Hall Plantation got it’s start in 1681 when Theophilus Patey was granted 470 acres of land on Wampacheeoone Creek. John Boone, who arrived in South Carolina in 1672, married Patey’s daughter and the couple received the 470 acres as a wedding present. It was after the marriage that the plantation began to be known as Boone Hall. By 1811, when the Boone family sold the plantation it had increased to 1,452 acres. Over the next 150 years Boone Hall was sold several times. Over those years the plantation increased in size to 4,039 acres and became one of the leading producers of pecans in the country. In 1955 the McRae family, who still own the plantation, purchased Boone Hall and opened it to the public. One of the features of Boone Hall is an avenue of oaks — a three-quarter mile driveway leading to the main house lined with massive Spanish-moss draped Live Oaks. The Avenue of Oaks goes back to 1743. The present manor house was built in 1935 on the site of the original house. To see more of our visit to Boone Hall, click HERE. What is the real America? Is it the big cities we see on television or in the movies, or is it the simpler America of Norman Rockwell? One reason Betsy and I enjoy living on the Cumberland Plateau is that life here is a little slower and a little simpler than it would be in a larger city. This weekend we travelled to a portion of the country that is almost as beautiful as our plateau — southwestern Virginia. We were able to stay off interstate and other major highways most of the time and got to see the America that exists away from the interstate highways. 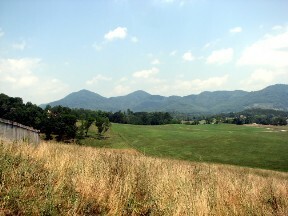 Betsy’s hometown is Big Stone Gap, Virginia. BSG is a small city nestled in the mountains. It used to be a center for coal mining, but most of the mines in the area have now closed. But the mountains are still there and they are grand to behold. 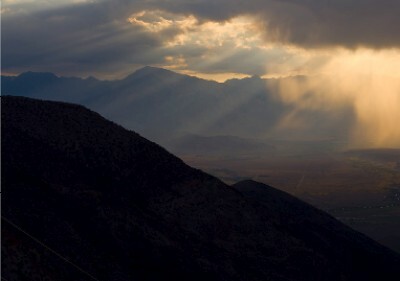 Between the mountains are many wide valleys which contain rolling hills and many farms and small towns. Every hill and every curve seemed to present a picture postcard view. It’s hard to put into words the way we felt about the countryside through which we travelled. Perhaps the best way to put it is to say the Norman Rockwell’s America still exists. As I mentioned, Betsy and I went to her hometown, Big Stone Gap, Virginia, over the weekend to attend a family reunion. We had a nice time and I’ll probably have more to say about it in the days ahead. Now that we have a GPS unit in the car we have travelled more back roads on our trips. Our GPS — Miss Bar-Beak — knows where we are even on the back roads and can get us to where we want to go. By taking the back roads we get to see some beautiful scenery that we otherwise would not see. Sunday we were driving through the mountains when we saw a little green sign that said “Elrod Falls” and had an arrow pointing to the right. Betsy and I looked at each other and asked “Do you think that’s a waterfall?” Neither of us knew, but we decided to check it out. We turned around and took the road designated by the sign. We had a couple of false starts because that was the only sign we saw, but we finally got on the correct road and went further back into the mountains on a gravel road. The road ended at a picnic area and a short path led us to Elrod Falls. Since this part of the country is in the second year of a drought we were surprised to see a fair amount of water coming over the falls (see the picture above). We met a couple who lived in the area at the falls and they said there was much more water in the late winter and early fall. It looks like we’ll be going back there again!